I've been a patient of Dr. Temkin since he started practicing and I couldn't imagine going anywhere else and ever getting better care. I more than appreciate how he and his staff take care of me. I have known Dr. Tenpin for 19 years and he is a fantastic physician. He takes personal interest in his patients, is easy to consult with and most importantly , is always available. I can't imagine going to a different primary care physician. Dr. Temkin is very pleasant person and very knowledgeable person. Very helpful and cooperative. I would go to him for my medical needs all the time. Dr. Temkin has been my Dr. for about 13 years. He is the greatest: very caring, listens, never rushes the visit like most Dr.'s. You can usually get in pretty quickly depending on the schedule & they will put you first on the list if a cancellation happens. He's the same yesterday, today, tomorrow. His staff is phenomenal, never an issue with him or his staff. Most of his staff has been with him from the beginning. He's the very best Dr. around this Tri valley area & only gets better! His knowledge of what he is practiced in is the very, very best in the medical industry. He helps you from beginning to end no matter what the medical situation requires. If he can't help you & you need to go to a certain type of Specialist, he will refer you to the best. I consider him my Dr. for a lifetime & I hope he always stays here because he really is a top rated Dr. He is10 stars in my books. Yes, I will & have referred others to him that felt the same way. I only hope for the very best for he & his staff in the years to come as I am with you all the way. I have been a patient of Dr. Temkin for a few years. He's one of the best doctors I have ever had. He is professional, caring, and very knowledgeable. Highly recommended! Very efficient and quick! Reviewed information and concurred with findings. I have been a patient of Dr. Temkin's since July 2017. His Lean MD program is outstanding and has provided the results just as he advertised. The program is the first weight loss program that has worked for me. Dr. Temkin and his entire staff are the most efficient and friendliest I've ever worked with. The entire office area is well organized and very clean. I love that everyone that works there is so friendly, but yet, very professional. Thank you for providing great customer service." It is always comfortable to visit a doctor's office that sees you as an individual and not as inventory. Dr. Tempkin delivers a very personal care. 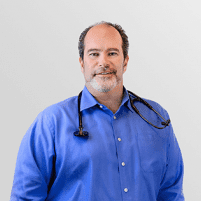 Dr. Temkin has been my primary care doctor for several years. The office staff is friendly, accommodating and efficient. Appointments are on time, but you don’t feel rushed. Dr. T. listens to your issues and recommends specialists as necessary. The LeanMd program is the best weight loss program that I have experienced. It’s very successful & gets the weight off fast. Dr Temkin and his staff are friendly and warm. Julie is wonderful. It’s a great program . You walk into Dr. Temkin's office and are greeted by Ashley with a great smile. Dr. Temkin has been by physician for years and has been very instrumental in my great health. He is smart, listens, is kind, offers various solutions and has a personal understanding about you, his patient. He takes the time and is concern about how you're feeling and what you're thinking. I highly recommend Dr. Temkin! My experiences with Dr. Temkin have always been upbeat and professional. The receptionists and nurses also make my visits profitable to my health and stress free. Dr. Temkin has diagnosed several problems, explained them clearly, and refered me to specialists and surgeons whom I found extremely helpful and improved my quality of life. I would have no hesitation in recommending Dr. Temkin to anyone I know. Dr T. is terrific at discussing your issue and collaborating on the best treatment plan for you. He makes you feel comfortable, appreciated and respected. A true partner in your personal care. Dr Temkin is excellent! He is a excellent listener who is kind and compassionate. His staff is friendly and willing to go the extra mile. Always accommodating. The LeanMD program is great. Dr. Temkin and his staff are fantastic and the weekly visits help keep you on track while fitting into a busy schedule. Dr. Temkin has been my primary doctor for years. He and his staff are excellent. Highly recommend!